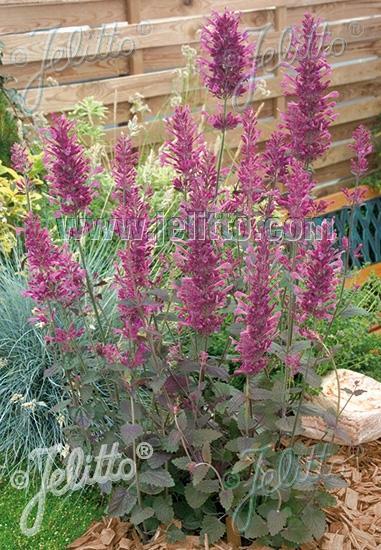 Spires to 16" of abundant tubular blooms in brilliant rose-purple. Aromatic bronze colored foliage with a compact habit. Blooms reliably the first year. Works well in containers or dry gardens. A magnet for hummingbirds, butterflies and honeybees.